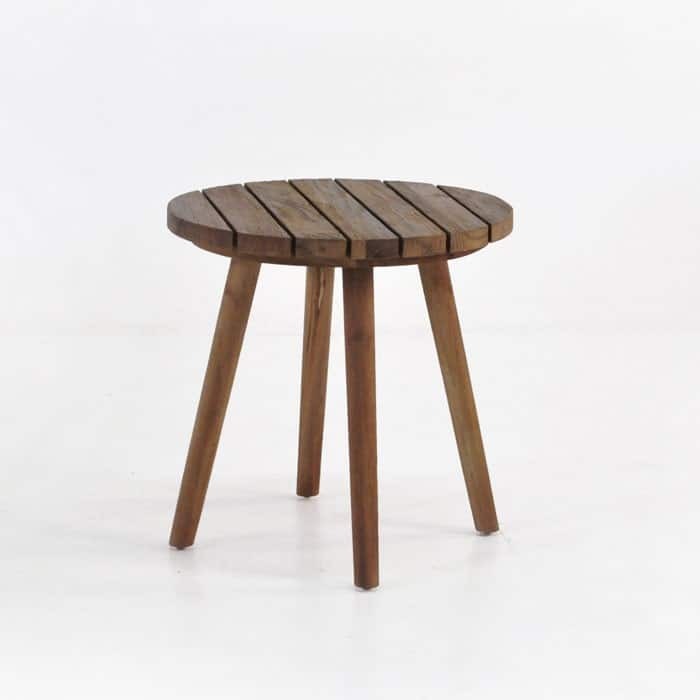 The Manhattan Reclaimed Teak Side Table; easily the most unique and charismatic side table on offer at Design Warehouse! The Manhattan Reclaimed Teak Collection brings the best of traditional and modern flavours together in its gorgeous unrivaled package; the Collection features clean, sharp lines in its broad frame made entirely from recycled teak wood, and stained a rich chocolate colour, which brings out the detail and beauty in the wood. The Manhattan Reclaimed Teak Collection is part of our newest range of multi-functional furniture collections; inspired by the minimalist nature of Japanese zen gardens and the urban flavour of studio living.